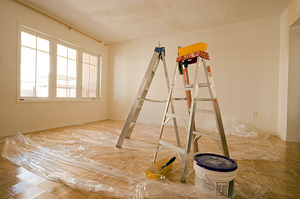 When it needs painting, call the professionals . 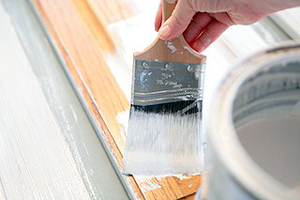 . .
Painting is another one of their many areas of expertise. Ricky and his crew offer more than two decades of professional experience painting everything from kitchen cabinets to entire houses inside and out. 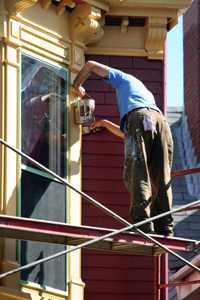 From soda blasting to power washing, Ricky uses the latest technology to efficiently strip old paint, remove stains, and prepare surfaces for first time finishing or restoration with methods that are environmentally safe. Licensed and fully insured, with local references upon request, customers can rest assured that their finished project will exceed expectations. quote for your painting or restoration project. When multimedia stripping and blasting is appropriate, Soda Blasting NC, LLC does offer those services. Please Click Here to visit our industrial arm, the Technical Blasting Company.